Posted on August 1, 2015 August 2, 2015 by F.D.I.T. So I wanted to draw your attention to something else I do throughout the day. You might notice that the bottom line of the above picture says emWave and the numbers 76, 40, and 40. 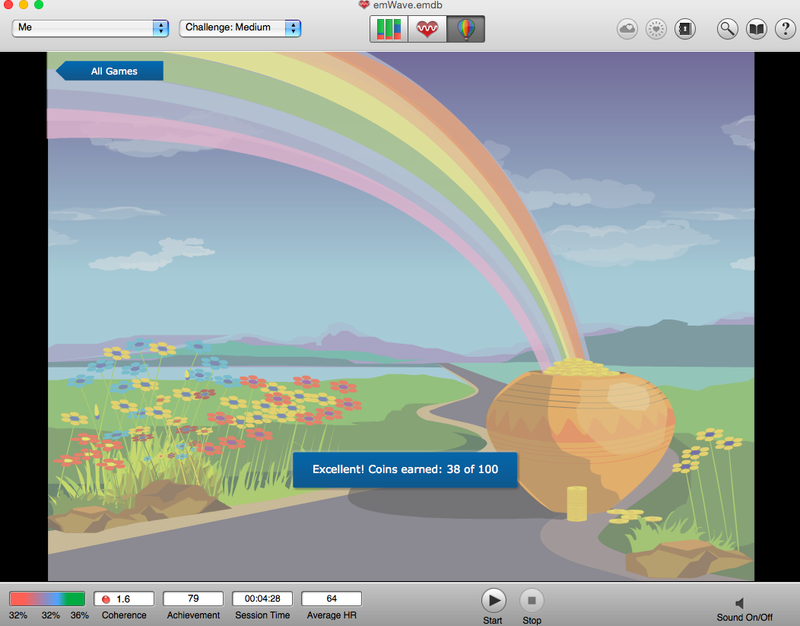 Those are the numbers of coins I ‘collect’ when practicing balanced breathing and measuring it via the emWave software. The folks at Heartmath.com have a variety of products that provide biofeedback to help get into balance. 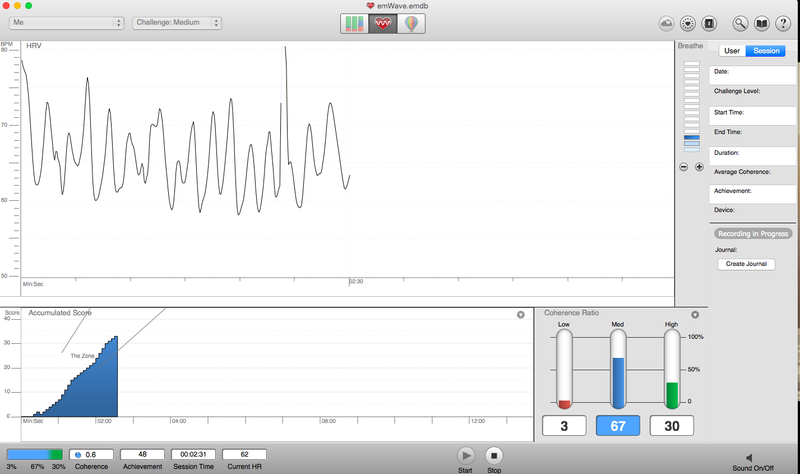 It is tracking your heart rate variability as an indicator of autonomic nervous system homeostasis. Essentially if your sympathetic nervous system (fight of flight response) and parasympathetic nervous system (rest and digest response or Relaxation Response) are working equal amounts. When you are in balance the more coins you can accumulate in the rainbow game. I will go more in depth including the technique I use to get in balance in future posts. In the mean time follow some of the links to see what you can find out. God Bless!